series: an exquisite dance performance – a fusion of enthusiasm and creativity. 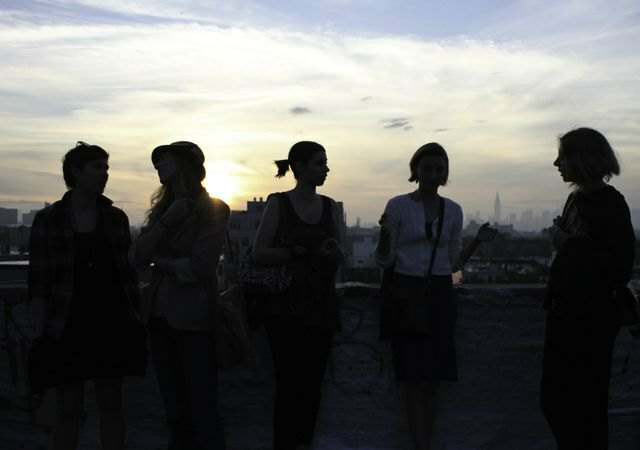 The first of the RoofTop Dance events was held on the (unsuccesful) Rapture Day, and it was amazing in the finest Bushwick fashion, moreover with a taste of potential apocalypse. 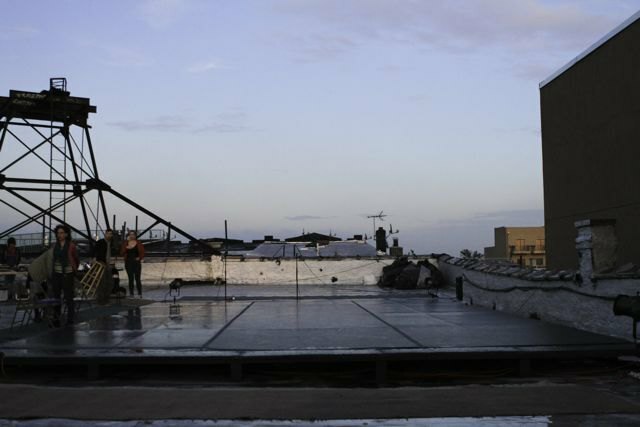 Benn Rasmussen, one of the producers told us that the idea to organize RoofTop Dance was born out of pure joy when dancing surrounded with his friends on the roof of his building. 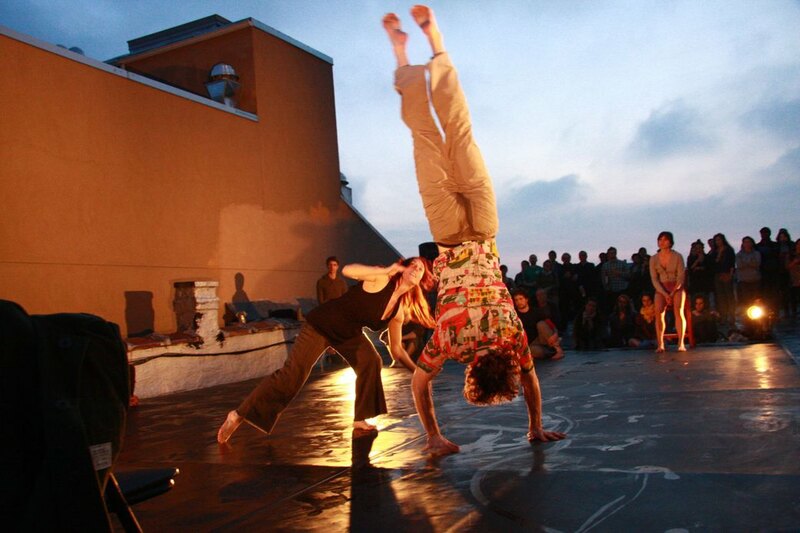 He said half-jokingly back then: “Why don’t we organize a dance performance here?” As is a good tradition in Bushwick, the next thing you know, the 4 producers were brainstorming about the concept of the pilot series of dance events, which took place last year. Benn says that last year, each of the 4 producers invited 2 emerging choreographers who were 25 years of age or younger, to create a piece concentrated around an object. Each of the choreographers would then pick their successor choreographer for the next performance. This concept created continuity, enhanced collaboration and familiarity among the creative community. This year RoofTop Dance decided to abandon the age threshold for choreographers and simply invited groups of 6 artists, whether established or emerging, who belong to our generation, because of their mind set. “We’re the generation who is here to make it,” says Benn Rasmussen. The generation of people living in this City, who work constantly, in multiple jobs, switching their role from a follower to a leader and vice versa, using the power of collaboration and enthusiasm to make things happen. These 6 choreographers were asked to engage in an experiment: a dialogue on their perspective on creation of art.